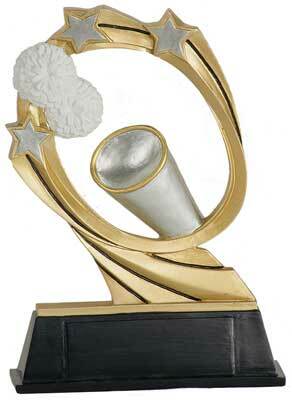 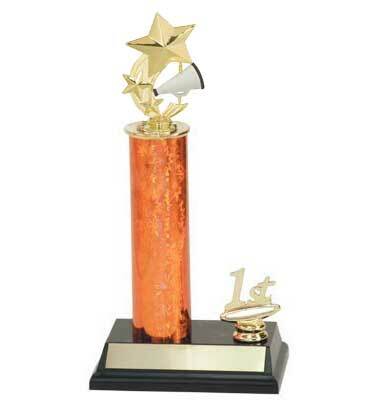 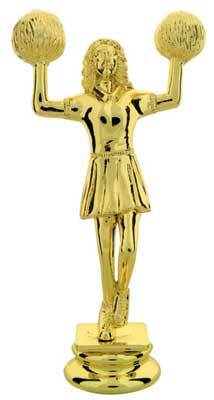 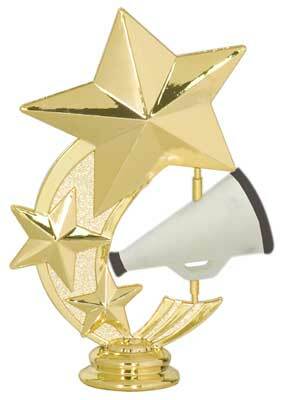 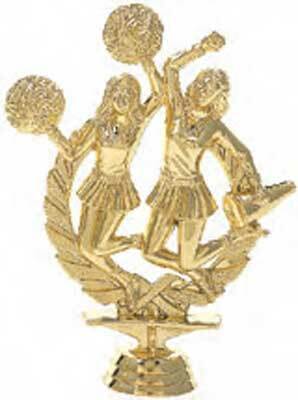 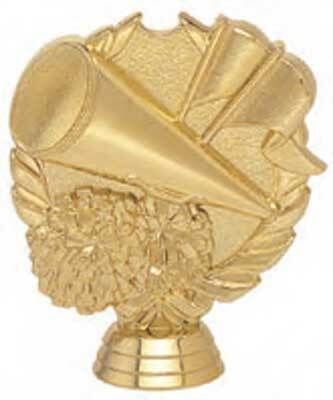 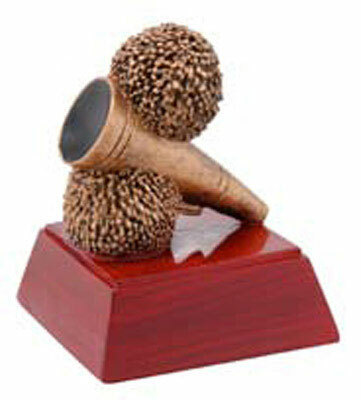 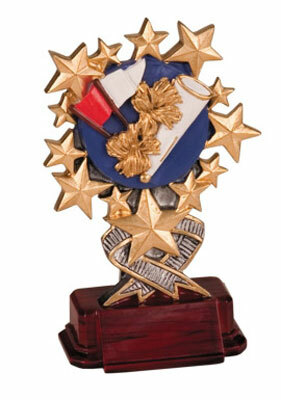 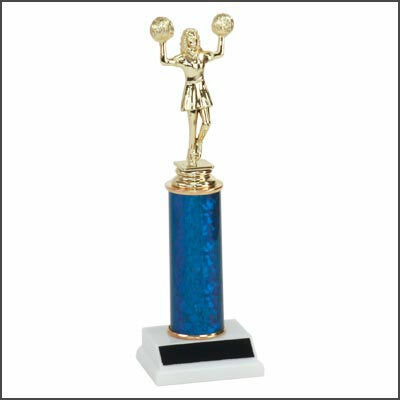 If you are looking for a quality cheerleader trophy, we offer a large selection of cheerleader trophies. 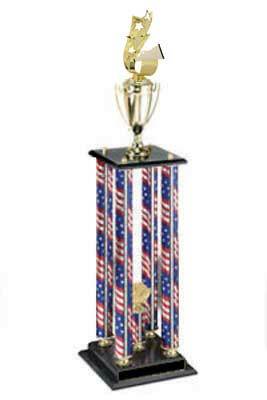 Our cheerleading trophies are economic and look great. 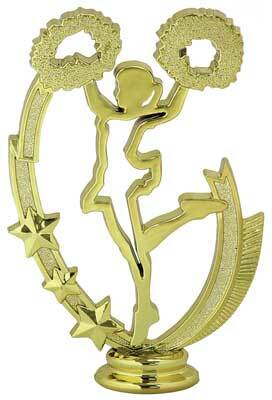 Check out all of our different types in the conventional cheerleading trophies. 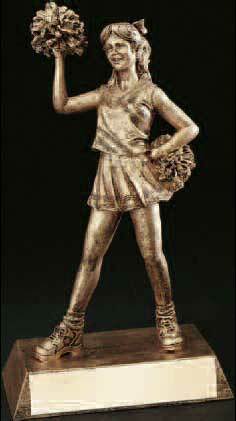 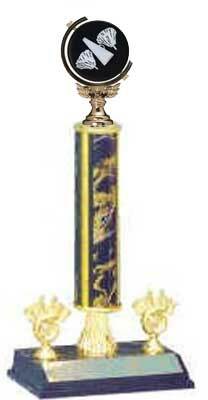 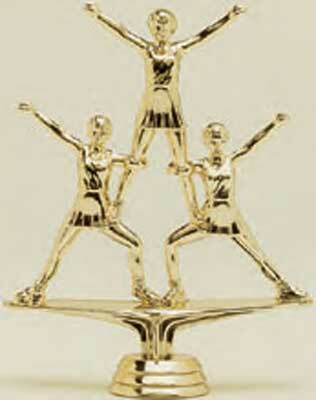 From the basic cheerleader figure and base trophy priced at $4.50 to a four column cheerleading trophy priced at $50.00. 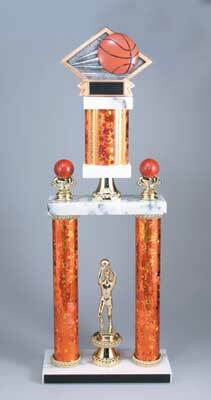 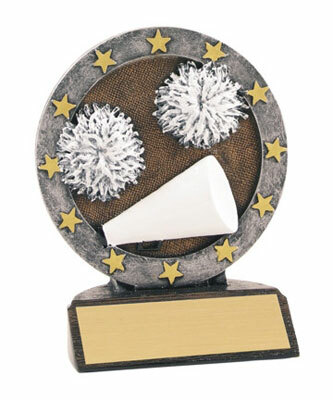 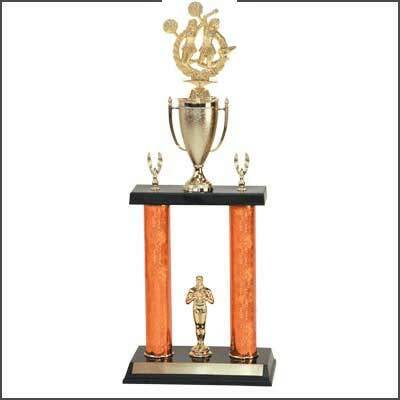 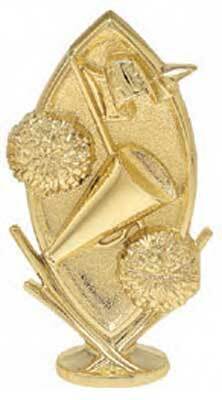 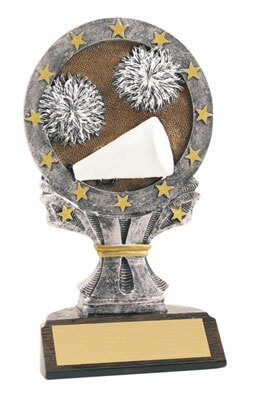 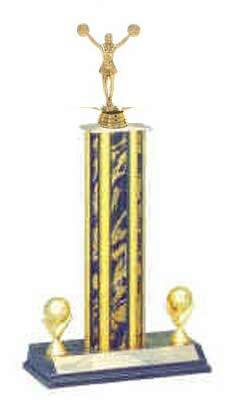 We offer a variety of cheerleader trophy sizes, styles and colors. 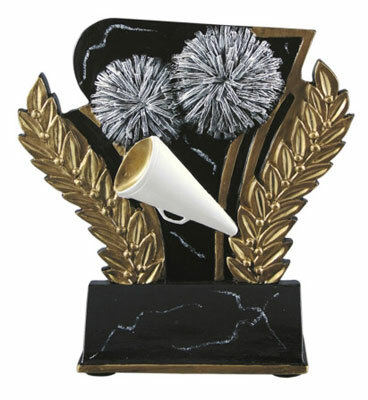 We have cheer trophies with mega phones and pom poms, and cheerleader figurine trophies. 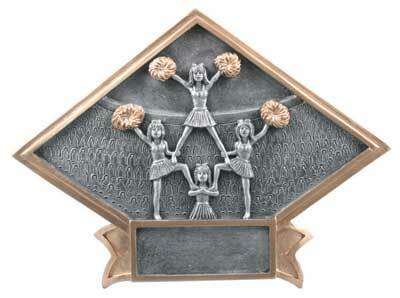 If you are looking for a unique cheerleader trophy, check out our resin cheerleader awards. 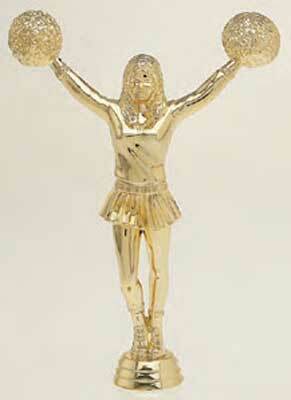 We have a nice selection of the resin cheerleading trophies. 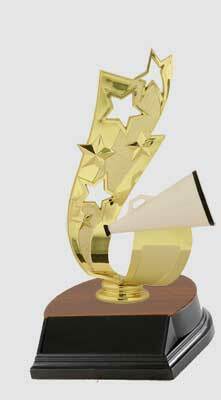 Did I mention your first 40 characters of engraving are FREE! 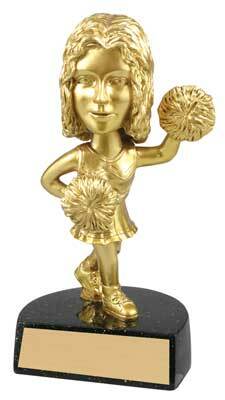 Please checkout all our cheerleader awards.